I like happily ever afters, don’t you? Let’s check it out! This signed paperback giveaway is open until September 25th. The first book in NY Times bestselling Jean Oram’s new Veils and Vows series. Irresistible, sweet romances set in the small mountain town of Blueberry Springs. 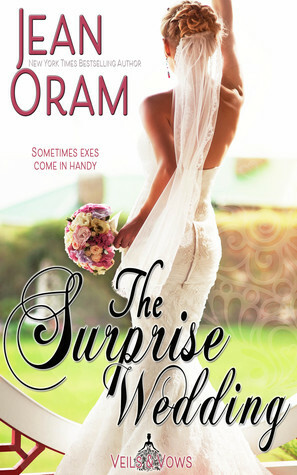 The first book that launches NY Times bestselling Jean Oram’s new Veils and Vows series. Irresistible, sweet romances set in the small mountain town of Blueberry Springs. Don’t forget to follow Jean Oram on Goodreads for more upcoming giveaways–hint: there are LOTS planned this month as she celebrates the release of The Wedding Plan!